Most people do not give any thought to their septic system unless it is not working properly. What a lot of people do not know is that regular maintenance and septic services will extend the life of your septic system and can prevent you from having to pay for large repairs. When a septic system is regularly maintained and inspected, small problems can be found and repaired before they turn into big problems that cost a lot of money to fix. One of the main things you need to do when you have a septic system is to have it regularly pumped out. Septic tanks can only hold so much, so you need to keep track of when you last had it pumped and make sure it is getting pumped when needed. It is recommended that septic tanks are pumped every 3 to 5 years, depending on the size of the tank and the size of your household. If you are not sure when you tank was last pumped, there are a few signs that you can look for that will tell you it is time for you septic tank to be pumped. If you have any sewage backing up into your drains, this is a sure sign your tank is full. Also, if you notice a really bad smell coming from your drains, this could also mean your tank needs to be pumped out. Another sign is water or sewage pooled on the ground next to the tank. Your septic tank should never leak, so this is a sure sign you need septic services. 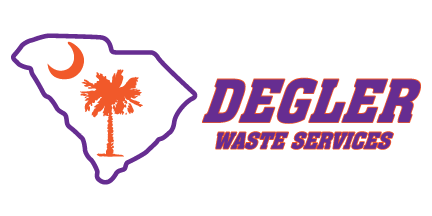 If you are looking for a reliable company to come to your home or business for septic services, contact us at Degler Waste Services today. We can pump out your septic tank and inspect it for any damage. We also will clean out your septic tank to remove all the buildup that can collect in your septic tank. This will help prevent problems that can be caused by buildup. Call us today for all of your septic needs.